 Kit including a compact, light and fast fusion splicer (7s) and accessories such as two strippers (for fibre and for drop cable), cleaver, dust blowing pear, alcohol dispenser... User-replaceable fiber holders for several types of fiber optics cables. 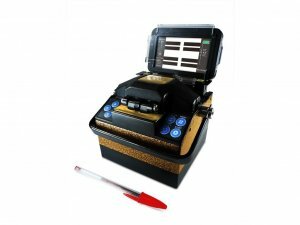 Fusion splicer model PROLITE-41 from PROMAX is one of the smallest and lightest optical fiber splicing equipment available in the market today, featuring the fastest splicing speed: 7 seconds. 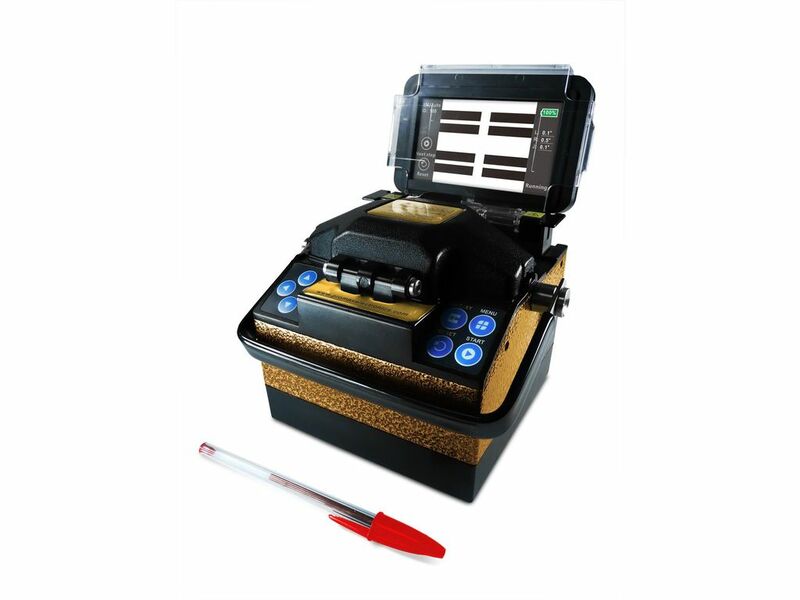 Fusion Splicer PROLITE-41 is a mini-type fusion splicing machine built in a titanium alloy body designed to be waterproof and dustproof. It includes the essential accessories for immediate operation: two strippers (for fibre and for drop cable), cleaver, dust blowing pear, isopropyl alcohol dispenser... In addition, its user-replaceable fiber holders can be swapped at any time using a fast and safe magnet-guided fitting.